LYCOCIL PERMANENT EYELASH & EYEBROW TINTS - BLACK Create fabulous eyelashes an..
LYCOCIL PERMANENT EYELASH & EYEBROW TINTS - BLUE BLACK Create fabulous eyelash..
LYCOCIL PERMANENT EYELASH & EYEBROW TINTS - BROWN Create fabulous eyelashes an..
LYCOCIL PERMANENT EYELASH & EYEBROW TINTS - GREY Create fabulous eyelashes and..
LYCOCIL PERMANENT EYELASH & EYEBROW TINTS - LIGHT BROWN Create fabulous eyelas..
LYCOCIL CRÈME PEROXIDE (10 VOL. 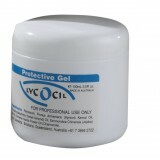 3%) - 100ML Lycocil Crème Peroxide takes the mess ..
Lycon LycoCil Protective Gel 100g Protective Gel. Perfect for definition! 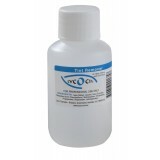 ..
Lycocil Tint Remover 100mL Removes excess tint from from the skin around the eyes ..